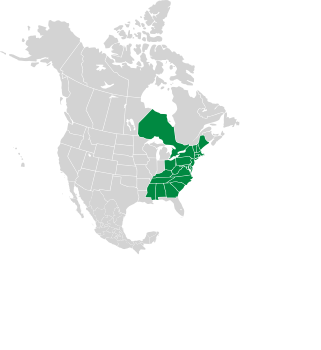 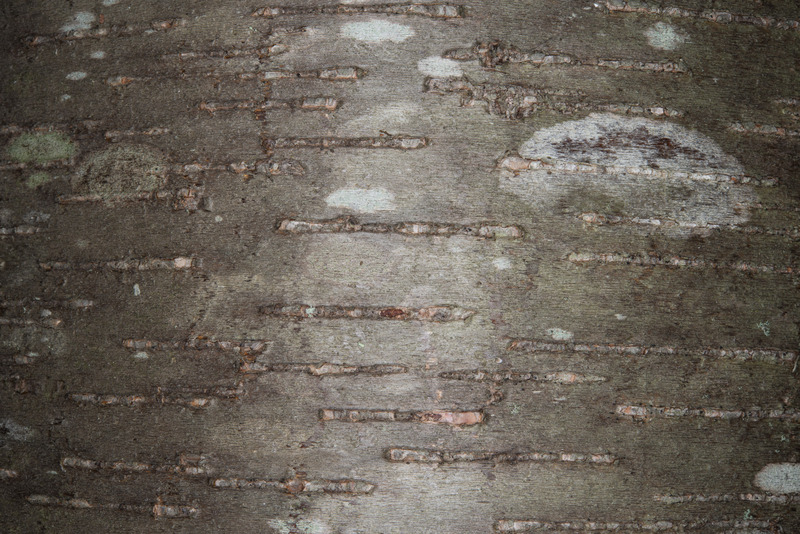 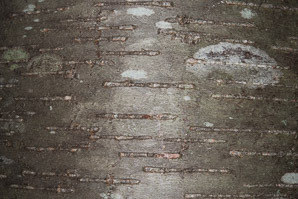 Black birch is a North American native. 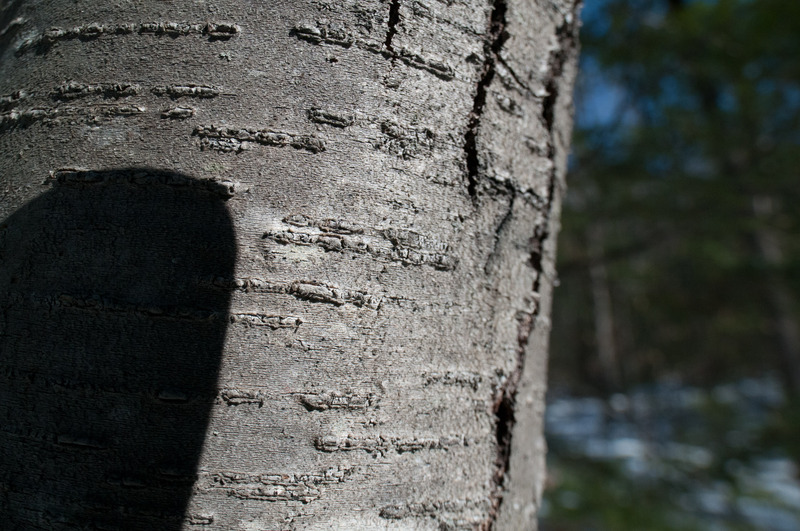 Many of its common names, such as sweet birch and spice birch, derive from the oil of wintergreen released from its twigs. 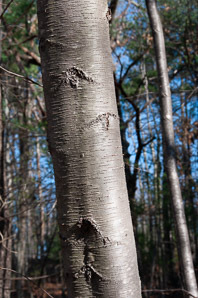 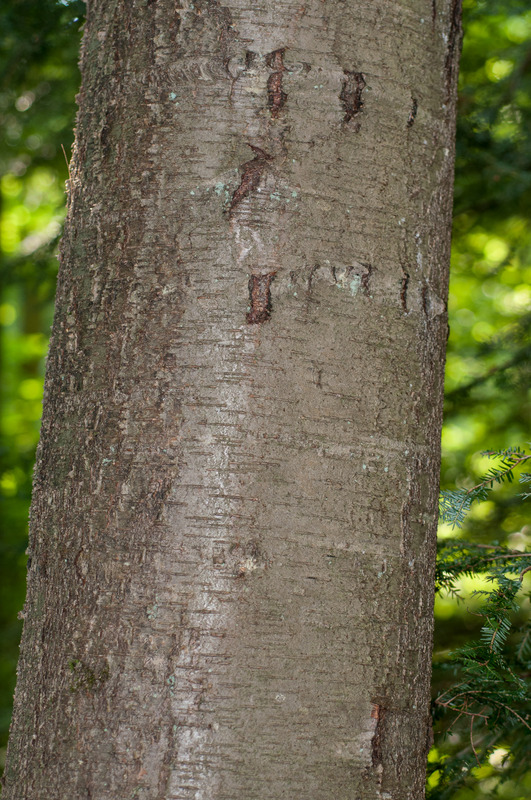 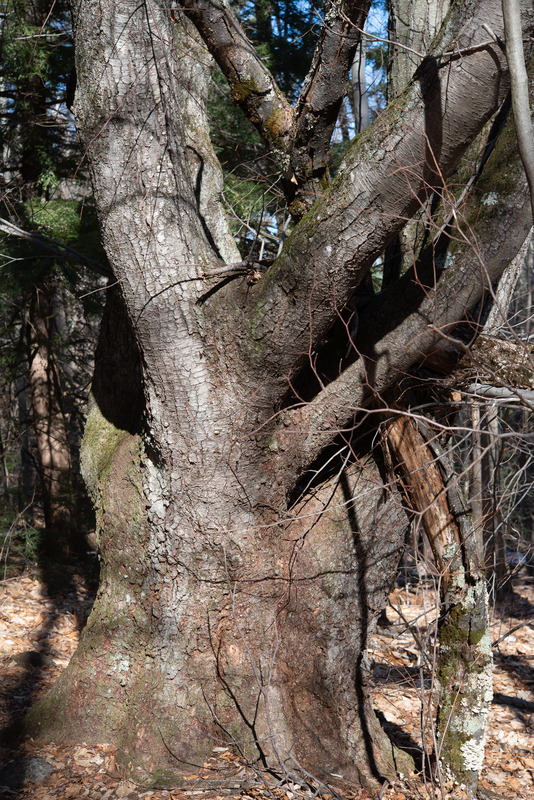 The tree was once used as a source of birch beer and oil of wintergreen. Plants: A mid-sized deciduous tree up to 82' (25 m) high, with a trunk that can reach 24" (60 cm) around. 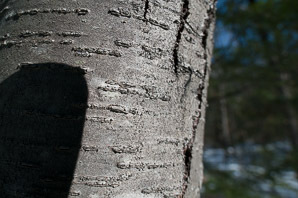 Twigs release the scent of wintergreen (methyl salicylate) when scraped. 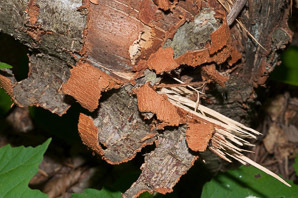 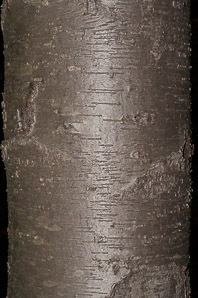 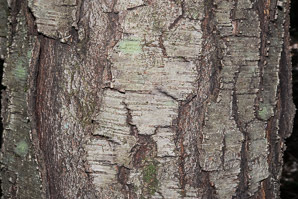 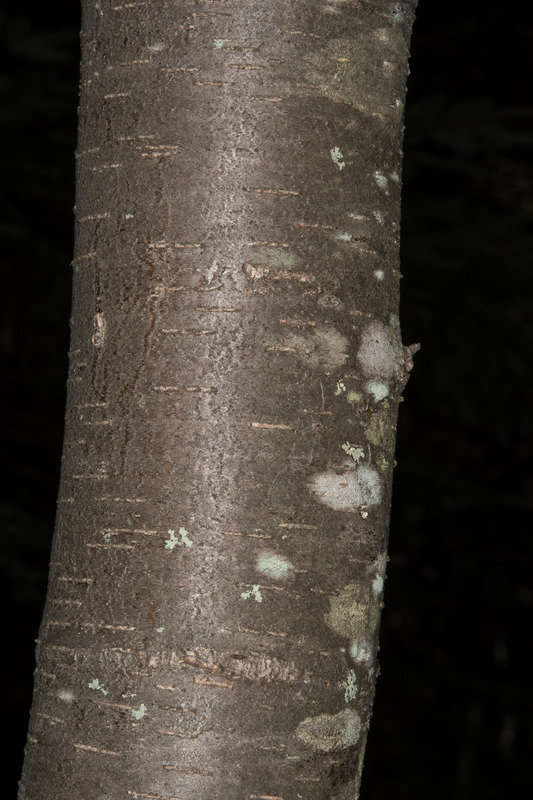 Bark is reddish brown to black. 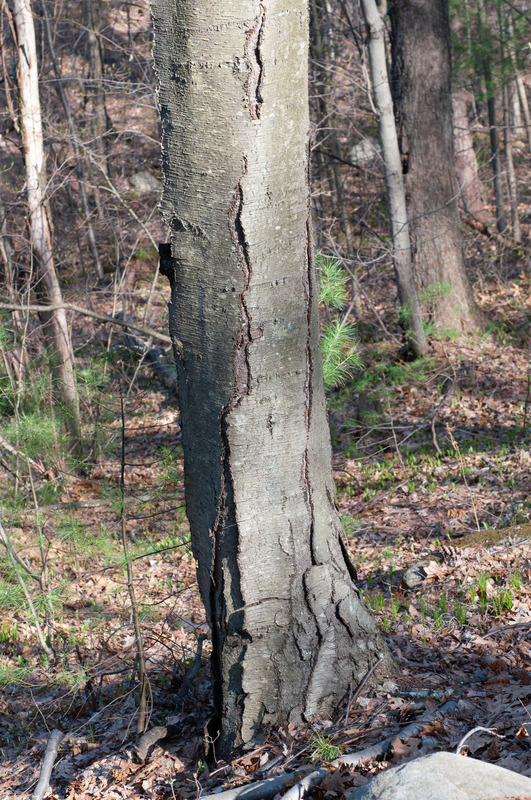 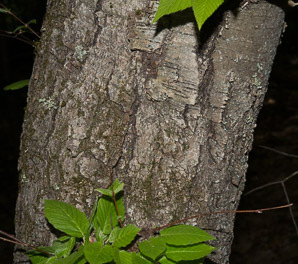 Trees are quite often infected with nectria canker. 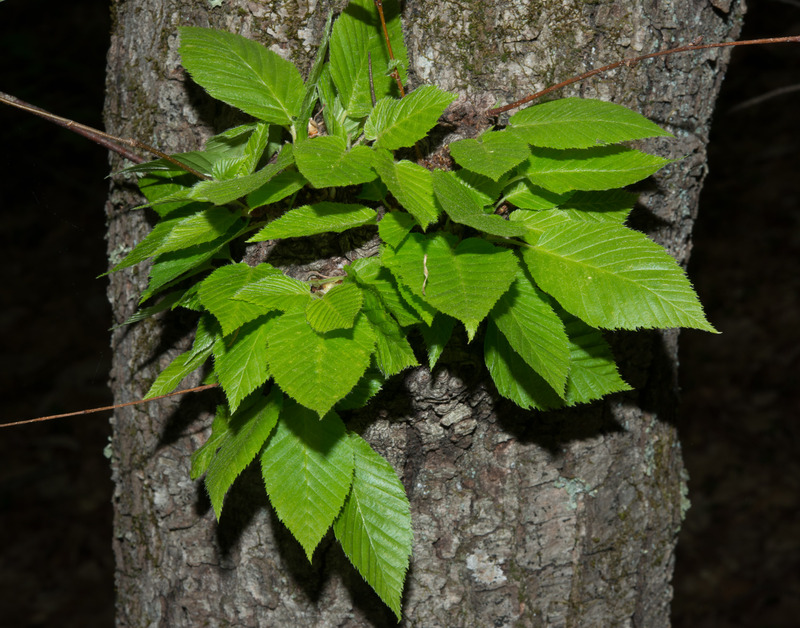 Leaves: Alternate, ovate, simple, 1¾-4" (5-10 cm) × 1-3" (3-8 cm), with finely serrated margins. 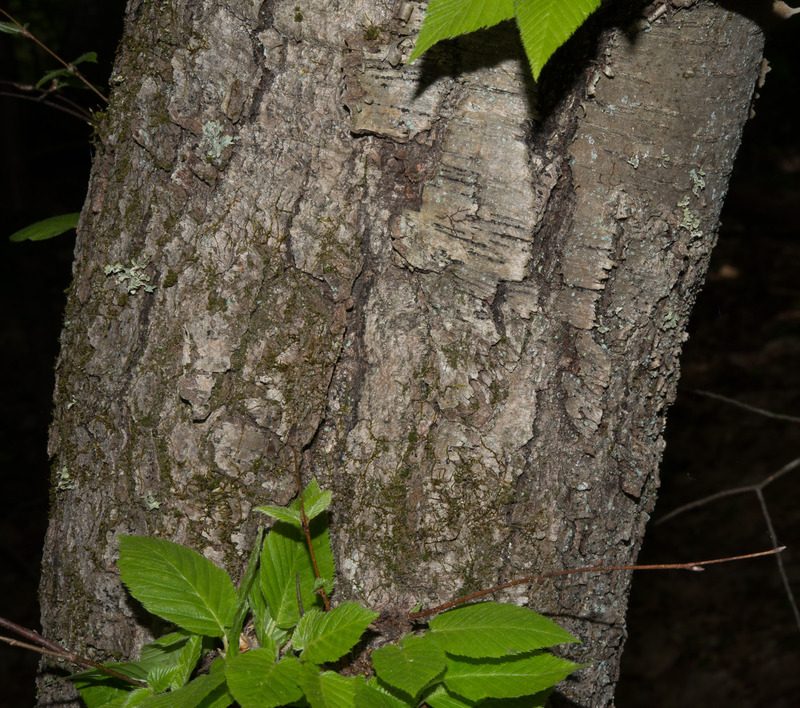 The leaves contain many roughly parallel veins, emerging from the leaf spine and tilted forward about 45°. 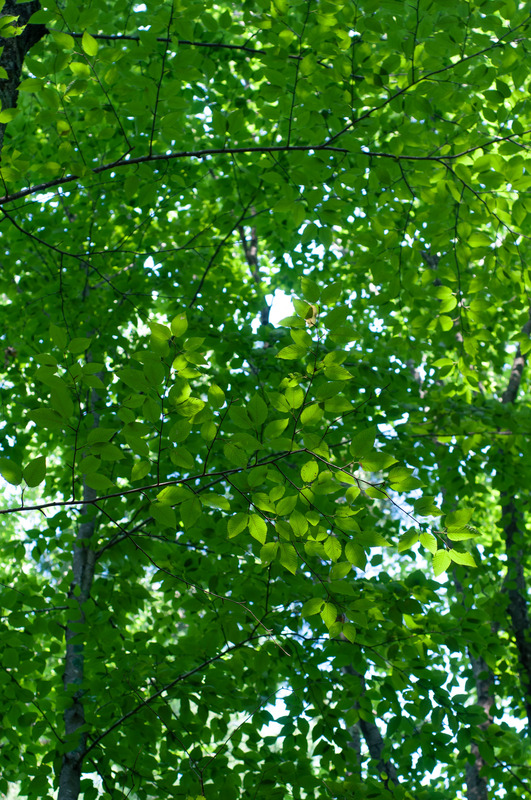 Flowers: Male flowers are hanging catkins ¾-1" (1.9-2.5 cm) long. 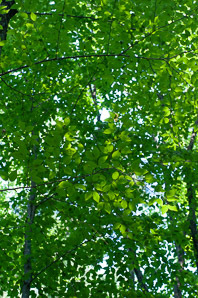 Female catkins are ½-¾" (1.3-1.9 cm), and erect, green tinged with red. 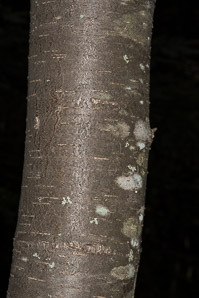 Fruits: In the fall, the catkins produce cone-like aggregates comprised of multiple tiny winged seeds. 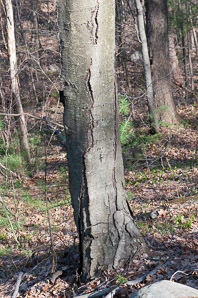 Typically trees do not produce seeds until they are at least 40 years old. 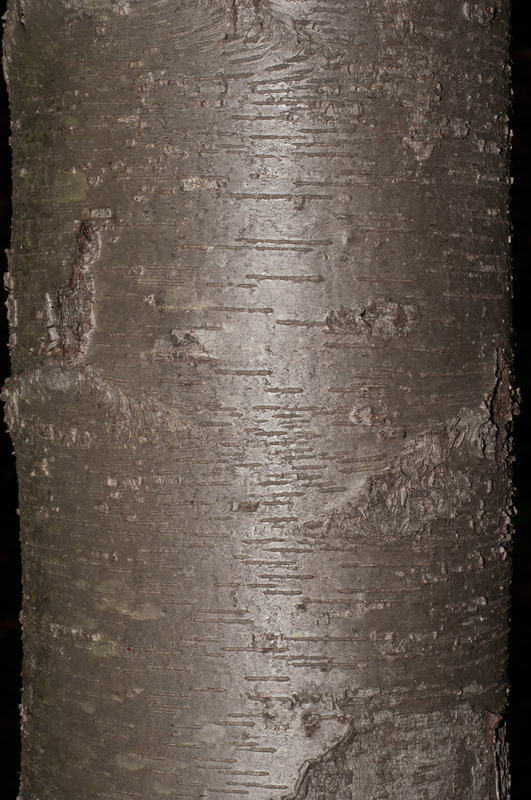 Betula lenta description by Thomas H. Kent, last updated 12 Oct 2018.